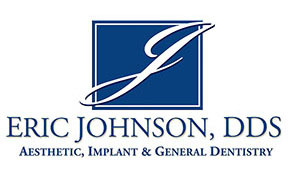 Orange County residents need to know that Dr. Eric Johnson -- the Orange County Smile Maker, is now accepting candidates for a perfect smile makeover. SAN CLEMENTE, Calif. - Oct. 24, 2018 - PRLog -- With the currency of "the perfect smile" becoming more and more important, there is one place to go in Orange County offering a truly artistic approach to cosmetic dentistry. This dentist has earned the golden, 5-star reputation for being the best of the best. So much so that the nickname "Orange County Smile Maker" has been levied resulting from excellent cosmetic dental work for folks all over orange county. Competition for the top jobs out there means every job-seeker needs to have the full package, and that includes visual appeal. Yes, quite true that it is illegal to judge a prospective employee by looks, but it goes much deeper than that. HR people are just like the rest of us. Meaning a first impression is a first impression. Without awareness on the part of the employer, that first impression will likely play a part in a final hiring decision. What to do? Call the "Orange County Smile Maker" to get the edge. With cosmetic dentistry being the norm these days, rarely does a day go by when you even see less than perfect smiles. Almost to the point that a great looking smile is considered a requirement much the same as a good education. There is no doubt that hiring decisions are made based on visual appeal. Humans are visual creatures and when given the chance, they opt for the more attractive visual presentation--often without even realizing it. One could argue that the media is responsible for that by flooding our senses with visual perfection. Argue away because the facts remain: a beautiful smile can literally change a life. Follow the facts with some real testimonials speaking directly to the skill and expertise of the "Orange County Smile Maker" and it becomes clear at once that an enhanced, perfect smile is one more piece of the success puzzle--both professionally and personally. Add to that the fact that Dr. Eric Johnson is gathering some very impressive 5-star patient reviews, and it's time to make that call. Orange County residents have never had such a skilled, personable, dedicated cosmetic dentist delivering on the promise of a better life through excellent dentistry and a perfect smile. This dental office is putting the call out to all prospective Orange County residents seeking an excellent cosmetic dentist in the area. Make the call to drop by the office and meet the dentist they call the "Orange County Smile Maker" and see exactly why such a level of perfection has been realized. Call today: (949) 493-9311.